The Crossing has long been identified as a strategic location in the history of the Canadian West. At this location, the Mistaya and Howse Rivers meet the North Saskatchewan River. In the early 1800’s, this was the route of the Fur Trade and at this location, the Fur Traders crossed the North Saskatchewan River, following the Howse River to the Howse Pass which breeched the Rocky Mountains into what is now the province of British Columbia. Howse Pass (el. 1,539 m or 5,049 ft.) is a pass through the Rocky Mountains in Canada. The pass is located in Banff National Park, between Mount Conway and Howse Peak. From here waters flow east via Conway Creek, Howse River, North Saskatchewan River to Lake Winnipeg and Hudson Bay. To the west it drains by the Blaeberry River to the Columbia River and on to the Pacific Ocean. ​The pass was used by First Nations people including the Kootenay to the west and Piegan Blackfeet to the east. In 1806 two fur traders from the Hudson’s Bay “Rocky Mountain House” cut a rough road from the Howse River toward the pass. In June 1807 David Thompson crossed through the pass to the Columbia River and named it after Joseph Howse, a Hudson’s Bay Company factor who actually made the traverse in 1809. Howse Pass is lower than many other passes in the Rockies and it was considered for the Canadian Pacific’s rail line but the Kicking Horse Pass was chosen instead. The pass was designated a National Historic Site of Canada in 1978. The Crossing continues to be a key location to this day. 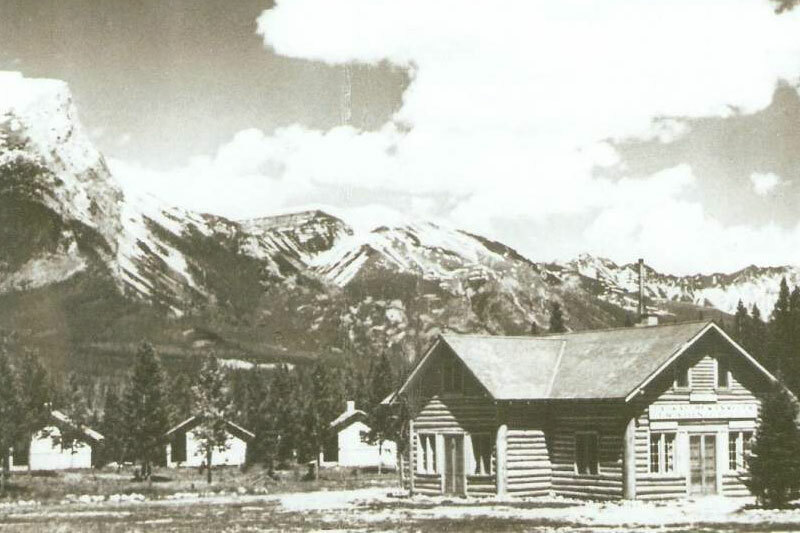 In 1940, the first Banff-Jasper Highway was opened to the public and in 1948 George Brewster built the Saskatchewan River Bungalow Camp consisting of what are now the office and two cabins. In 1963 the new Banff – Jasper highway (now The Icefields Parkway) was opened and The Crossing was relocated to its present site. Robert & Naomi Smead purchased the resort at this time. What we use today as the office was the main lodge at the original location and became staff accommodations when The Crossing was moved to its present location. 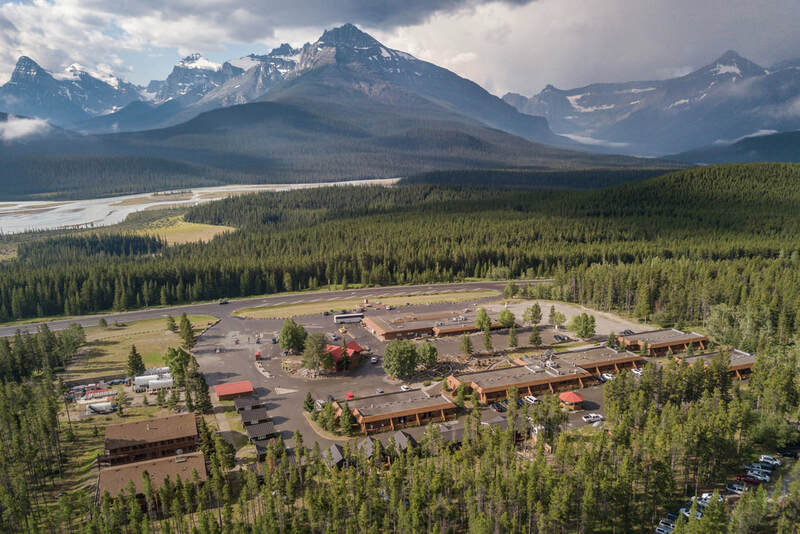 ​Then in 1968, Highway 11, The David Thompson Highway was completed, joining the Icefields Parkway at The Crossing, providing easy access to the Icefields Parkway for residents of Rocky Mountain House, Red Deer and Central Alberta. In 1975, the resort was purchased by the Fikowski family. At this time the resort operated from May until September with only the cabins available for guest accommodation. It took a whopping 28 staff to operate the property that at that time offered 46 seats in the Dining Room and 64 seats in the Cafeteria. The Gift Shop was a cozy 600 square feet. A cabin at that time rented for $10.00 per day with one pail of water and $15.00 with two pails. An average day was one bus and the busiest day of the year was 7 buses. Today, The Crossing Resort offers 66 deluxe rooms, a 250 seat Dining Room, 125 seat Cafeteria, 70 seat Pub and a 3000 square foot General Store and Gift Shop. Introduced in 2014 our Hike & Attraction Central program highlights the best hiking opportunities in Banff National Park. Click here and Re-Discover the Icefields Parkway.